InshaAllah, sharing always for myself, a reminder for myself of these realities that knowledges that dunya people, they wonder, what is the benefit? And aakhirah people who live in dunya for the purpose of guidance, they want to remind us and constantly teach us knowledges that have benefit upon the soul. As soon as you sleep, especially if you sleep at night with wudu, your soul goes below ‘Arsh ur Rahman [Subhanallah]. And Awliya Allah (saints) teach that when the soul is going it is not doing something empty. It is going and asking from Allah ‘Azza wa Jal in the Oceans of Light, Oceans of Power. We say Divinely Presence ‘cause it can’t reach exactly Allah ‘Azza wa Jal’s Presence. It reaches towards the Divine Oceans known to us as Sayyidina Muhammad (sallallahu alaihi wasallam): this is haqqiqatul Muhammadiya (sallallahu alaihi wasallam). Means the soul moves into that ocean and asks for knowledges, for realities, to be dressed. So the knowledges that they teach are daa’im, they are eternal, from malakut, from the atomic, the nuclear reality of the soul, which is the world of light. The knowledge of just the usools of, and the levels of just the body, it’s not something the soul can go to ask more knowledge about. We said that before: the basics of wudu (ablution) you can’t go to Divinely Presence and say, “Ya Rabbi, please can I go into the Oceans to understand how to wash my fingers better.” That’s for your body. The body stays in dunya. But the realities of wudu, the realities of water, the realities of washing the heart, washing the soul, washing the blood- those are the realities that are eternal. Holy Quran 4:1 Ya ayyuha an nasu ittaqoo rabbakumu allathee khalaqakum min nafsin wahidatin wakhalaqa minha zawjaha….. They begin to teach us in our life, that from the importance of the number 11 that the reality, and from every level there are more and more realities, from just one understanding of Maulana Shaykh’s teaching, that 11 has to do with the Divine Mirror. It’s an important reality for us that the reality of 11 is from La ilaha illAllah, one 1, and Muhammad RasolAllah, the reflection of that one 1. So it is two ones that are looking at each other. So when we see that number 11 and the realities of number 11, has to do with the reality of mirroring that: from La ilaha illallah is reflecting from the Oceans of Ahadiyah أحدية to the oceans of Sayyiduna Muhammad (sallallahu alaihi wasallam) al wahed واحد. An nafs ul wahed. A nafs ul wahid, wa khalaqal insaana min nafsil wahid means that there is only one Allah ‘Azza wa Jal, hu wal Ahad, and there is only one reality of Sayyidena Muhammad (sallallahu alaihi wasallam) throughout creation, and that is wahid واحد (one). Means that La ilaha illallah, and then Muhammadun RasoolAllah (sallallahu alaihi wasallam) in the way of ma’rifa is teaching us about mirroring. That the mirror of La ilaha illAllah is dressing the ocean of Muhammadun RasoolAllah (sallallahu alaihi wasallam). So in the way of ma’rifa, when they begin to teach us, that they want to open the reality of La ilaha illallah. Also 11 has another way of making 11, which is more powerful, which is 29, 2 plus 9 [2+9=11]. 29, in the huroof is la لا , means we’ll get to the 29, becomes la لا , which is the way of annihilation. When the first zikr of the people of zikr is La ilaha illallah, La ilaha illallah. Means that you are going to shut off the head to bring out the reality of nothing but Allah ‘Azza wa Jal. Means one way of making an 11 is through 29, 2 plus 9. That will be down here, but for this understanding, they show us that the number 11, they want us to reach towards a reality of a Divine Mirror, that you cannot reach anything by yourself. This reality of mirroring is throughout creation. Means that you cannot reach to La ilaha illAllah without going through the ocean of Muhammadun RasoolAllah (sallallahu alaihi wasallam). So it is known to us by lam alif لا . When we want to make the lam ل , is for the mulk ملك and the creation, that everything comes into existence by the reality of Prophet (sallallahu alaihi wasallam)’s tongue [lisanul Haq], that Allah ‘Azza wa Jal wants creation to come into existence. He merely speaks it to the reality and the soul of Prophet (sallallahu alaihi wasallam) and that creation now is beginning to manifest. In these oceans of Muhammadun RasoolAllah (sallallahu alaihi wasallam), is now teaching us the realities of ma’rifa to reach towards that Divinely Presence, which is at the end, la لا . ‘Cause every ma’rifa we have to start from this direction [left]. You can’t start from the top of the mountain, you start from the beginning of the mountain for the journey. If the journey is to reach the realities of La ilaha illallah which exist within the la لا which is negation; then the huroof (letters) teaching us from the secrets of 11, that: come to the ocean of Muhammadun RasoolAllah (sallallahu alaihi wasallam). So what do you see now at the ocean of Muhammadun RasoolAllah? 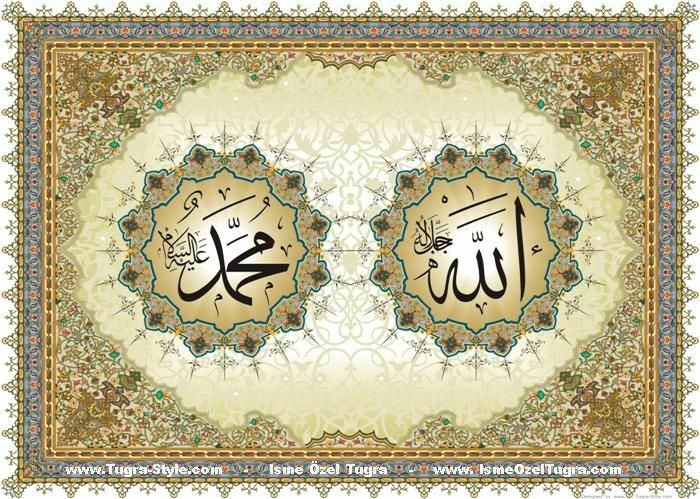 The Allah, that you are mentioning is this Allah [of Muhammadun RasoolAllah], it’s not the Allah of La ilaha illAllah. We don’t know that Allah as yet. Means Allah ‘Azza wa Jal, when He wants creation to come into existence, come into guidance, He is guiding us, that: tell creation come to Allah ‘Azza wa Jal, come to the Oneness of the Creator, that go out, what was the messengers, what was their job? 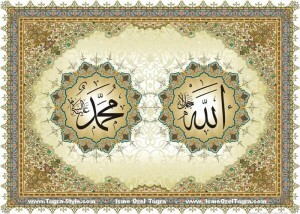 To tell people about Allah ‘Azza wa Jal: don’t be in the multiple but be in the Oneness of the Creator. So then this is the Allah ‘Azza wa Jal that we are first coming into that reality. That Allah ‘Azza wa Jal wants us to come into Oneness. That is now the way of guidance because La ilaha illallah is the tawhid توحيد. But to be a Muslim, you have to say La ilaha illallah, Muhammadun RasoolAllah (sallallahu alaihi wasallam). Means you really can’t enter the ocean of tawhid توحيد without truly understanding Prophet (sallallahu alaihi wasallam). How this is important, is that people trying to respect Holy Qur’an but how can you respect Holy Qur’an if you’re not respecting the one who brought you the Holy Qur’an? So means it’s like saying that you are, you have a clean wudu but your shower was dirty. If the shower wasn’t correct, what’s your wudu going to do for you? Means that it’s all a chain towards reaching that reality, because many people hold Qur’an and they’re not reaching its realities. Many people reading Qur’an and they’re not reaching its power and its authority. And Allah ‘Azza wa Jal teaching that: by everything there is a means. 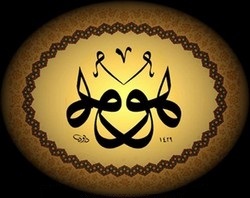 Means, “Come to Me, come to My Oneness.” Accept that you want to come to Allah ‘Azza wa Jal. So then all of us doing da’wah telling people, “Come to the Oneness of Allah ‘Azza wa Jal.” What Allah ‘Azza wa Jal next has in the name Muhammadun RasoolAllah محمد رسول الله. ‘cause how can you know Allah when you don’t know Muhammadun RasoolAllah (sallallahu alaihi wasallam)? So this is the way of the ma’rifa of Prophet (sallallahu alaihi wasallam). So you have to know your Nabi (alaihis salaam) before you can claim to know Allah ‘Azza wa Jal. You have to love Prophet (sallallahu alaihi wasallam) so that you can love Allah’s Word because then it’s not connected, it’s abtar. To be connected, Allah ‘Azza wa Jal showing you have to love the Rasool. You have to be from the people who are ‘arifeen, that they know the reality. They are moving towards the reality of Prophet (sallallahu alaihi wasallam). So in the name Muhammadun RasoolAllah (sallallahu alaihi wasallam) محمد رسول الله, it is this Allah that we have been introduced, that we are coming by imitation only because we yet haven’t seen. Our heart is not open and not tasting that reality so we’re imitating. 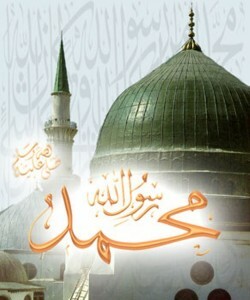 We come to this Allah ‘Azza wa Jal; next in the name of Prophet (sallallahu alaihi wasallam) is the Rasool رسول. Then Allah ‘Azza wa Jal teaching us, “Then if you are accepting Me, come to My Rasool,” ‘cause this is the way of the ma’rifa towards this reality. “If you’re accepting My Rasool,” then that’s why, what they’re explaining why awliya Allah and pious people, they are always talking about haqiqat ul Muhammadiya حقيقت المحمدية. They’re taking us to the real La ilaha illallah, Muhammadun RasoolAllah لا إله إلا الله محمد رسول الله.They are trying to take all their followers into that ocean of reality. So the kalimah itself is the best guide. 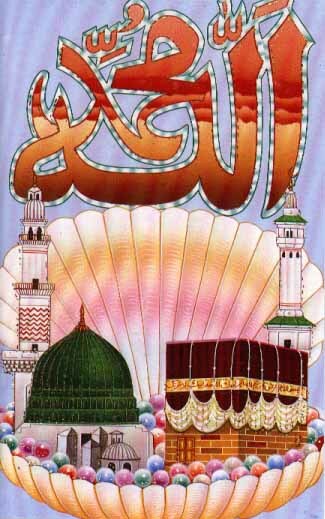 It’s teaching us that: you want to know about Allah ‘Azza wa Jal, come to the Rasool. If you want to know the reality of the Rasool yet, they didn’t talk yet about each of the huroof, that, what is this alif, lam, lam, ha [allah الله ]? What is this lisaan ul Haq and the Tongue of Truth that speaks for Allah ‘Azza wa Jal. What is the ra ر and the seen س and the waw و ? 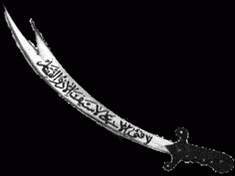 This is the rabb as sirratul wadud رب السرة الودود . Ra ر is the rububiya ربوبيّة , the lordship of that reality. The seen س is the sirr سر and the secret. 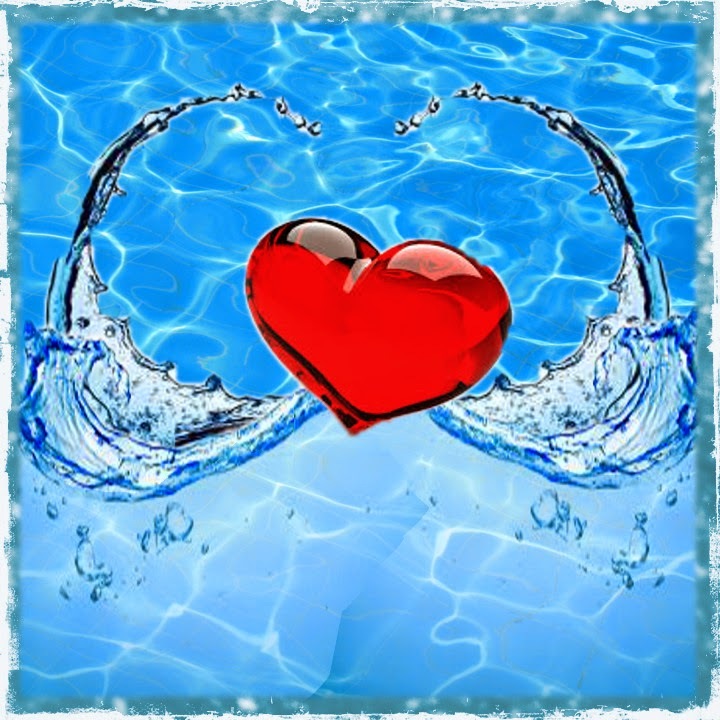 The waw و is [wadod ودود] that it exists by love. Allah ‘Azza wa Jal made this creation to manifest by the Oceans of Love. So Prophet (sallallahu alaihi wasallam) is the symbol of that reality. 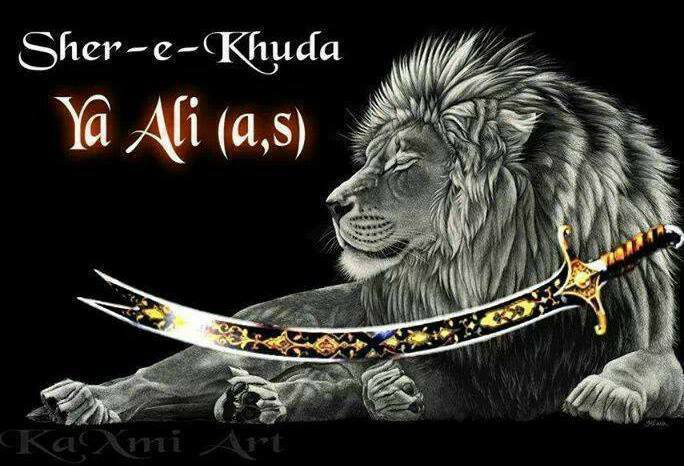 We accept the Rasool and now where they are taking us is into the realities of Muhammad (sallallahu alaihi wasallam). That’s why it’s so essential for Mawlid an-Nabi (sallallahu alaihi wasallam). ‘Cause, if you, how you’re going to know Allah ‘Azza wa Jal if you’re not celebrating the life and the time and the way of Sayyiduna Muhammad (sallallahu alaihi wasallam)? This is why they are showing this is the way of guidance, that all awliya Allah, they must follow that formula, that before you can know La ilaha illa-Llah, you must be deep into the ocean of Muhammadun RasoolAllah (sallallahu alaihi wasallam). Kuntu Nabiyan wa Adama baynal Maa e wat Teen. Awwalu ma khalaqAllahu nuri Nabyika, Ya Jabir. The first thing that Allah created was your prophet’s light (referring to himself (saw), O Jabir. That’s why all the naat shareef [praisings on prophet (saws)], and all these recitations. Why awliya Allah came into our lives? To make us to recite these. These are like the seeds that you plant upon your soul. When you are praising realities, praising realities, praising realities, what every night you’re doing when you’re going to Allah ‘Azza wa Jal? Your soul knows. Your soul says, “Ya Rabbi I was praising a praise. Let me to swim in that ocean, to drink from that ocean, to be dressed from that ocean.” The body may be jahal (ignorant) but the soul hayyul qayyum. As much as it’s reciting of realities, as much as it’s reciting of praising, it’s swimming in the oceans, being dressed by these oceans. So what happens when they take us to the ocean of Muhammadun RasoolAllah (sallallahu alaihi wasallam)? Now they begin to open that reality: the secret of lam alif لا , that: you want to come into this ocean of annihilation, what it says there, is that come now into the way of la. 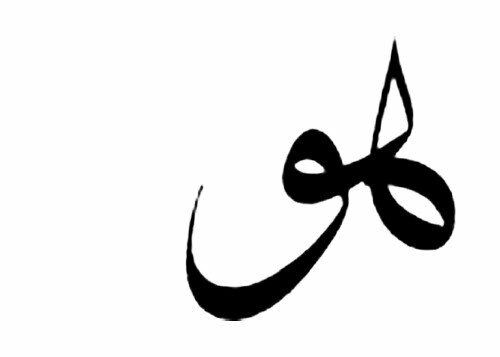 ‘Cause this lam, when it meets the alif, ‘cause lam represents creation. When it comes to the reality of ‘Izzatullah, the lam and the relationship of this lam and alif immediately begins to flip. This is now the whole realities of ma’rifa. The alif is in front. 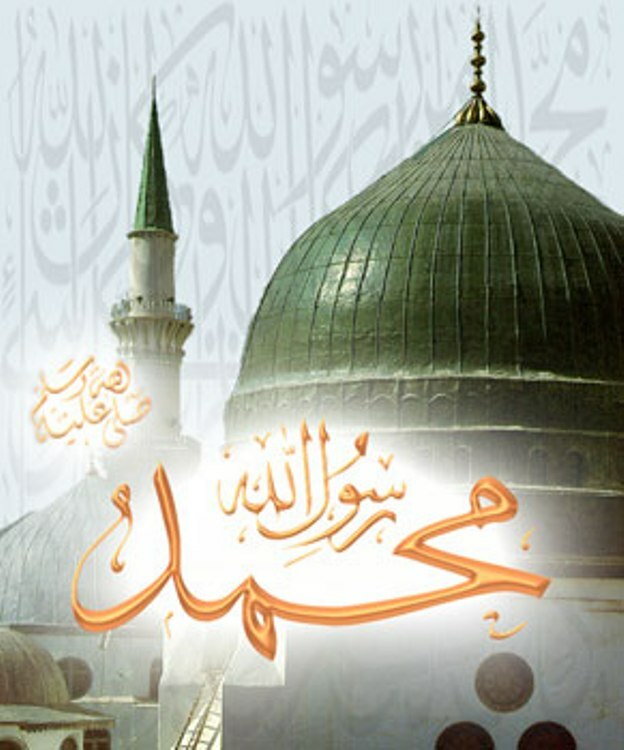 When the lam comes from behind- ‘cause nothing can connect with Allah ‘Azza wa Jal- when the lam comes from behind, this secret of la لا is that this part that is reaching to you is Prophet (sallallahu alaihi wasallam). And Allah ‘Azza wa Jal’s ma’rifa goes back and hides, ‘cause Allah ‘Azza wa Jal is a hidden treasure wanting to be known. Kuntu kanzan makhfiyya, fa ahbabtu an a’rafa, fa khalaqtu khalqan, fa ‘arraftahum bi fa ‘arafonee. When the reality comes two bow lengths and nearer, means now this, in the way of ma’rifa you have to have and be lost in the love of Sayyiduna Muhammad (sallallahu alaihi wasallam). ‘Cause what you’re going to find now, all of this reality is inside the reality of Muhammadun RasoolAllah. All of that reality must be within the reality of Muhammadun RasoolAllah. You can’t go outside of Muhammadun RasoolAllah because La ilaha illalllah means nothing, means there’s nothing here for you. There’s nothing but Allah ‘Azza wa Jal. So you can’t swim in the ocean of La ilaha illa-Llah. What Prophet (sallallahu alaihi wasallam) going to teach us in the way of ma’rifa, you negate yourself, you negate yourself, you negate yourself. You take the way of the ‘arifeen عارفين (Gnostics) that they become nothing, they become nothing, they become nothing, they become ‘ashiqeen عاشقين(lovers), and their arwa and their souls are swimming in the soul of Prophet (sallallahu alaihi wasallam). At that time in the heart of Sayyidena Muhammad (sallallahu alaihi wasallam) begins to open the reality of La ilaha illa-Llah. Means the real reality of La ilaha illa-Llah is within the heart of Prophet (sallallahu alaihi wasallam). 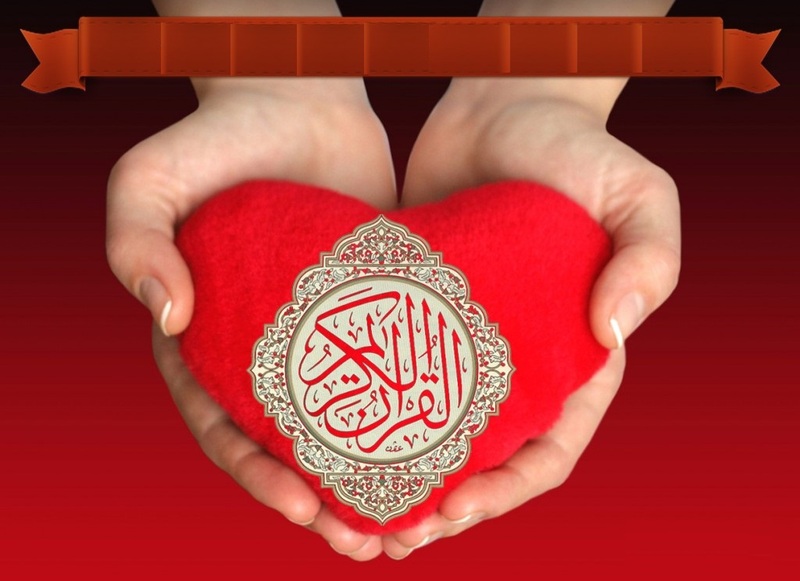 Within the heart of Prophet (sallallahu alaihi wasallam) is coming in Ramadan,‘Qaf, wal-Qur’an al–Majeed’. Means that where does Qur’an came from? 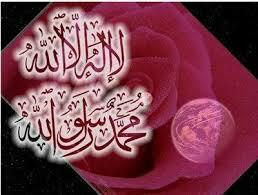 It came from the heart of Prophet (sallallahu alaihi wasallam), through his holy tongue and sent out to creation. Allah ‘Azza wa Jal has no time. Means there must always be this ‘izzat, there must always be a light, there must always be a revelation coming through the heart of Prophet (sallallahu alaihi wasallam); from where? From the Oceans of La ilaha illa-Llah. Means the Ocean of La ilaha illa-Llah, the reality of La ilaha illa-Llah that we’re trying to reach, it’s existing within the soul of Prophet (sallallahu alaihi wasallam). Everything must be contained in this circle. You can’t go outside this circle. Outside the circle is La ilaha illa-Llah. La ilaha illa-Llah means no, no sharik, no partner with Allah ‘Azza wa Jal. What you are looking for are the realities of creation. All that creation is in the ocean of Muhammadun RasoolAllah (sallallahu alaihi wasallam), inside the heart of Prophet (sallallahu alaihi wasallam) begins the openings and the realities of La ilaha illa-Llah, so that we’ve traversed into the reality of the heart of Prophet (sallallahu alaihi wasallam). And the highest reality they begin to dress us with is in that lam alif. So then the other 11, the reality of that 11 is in 29. So lam alif لا is the station of annihilation, where you annihilate yourself to be nothing. 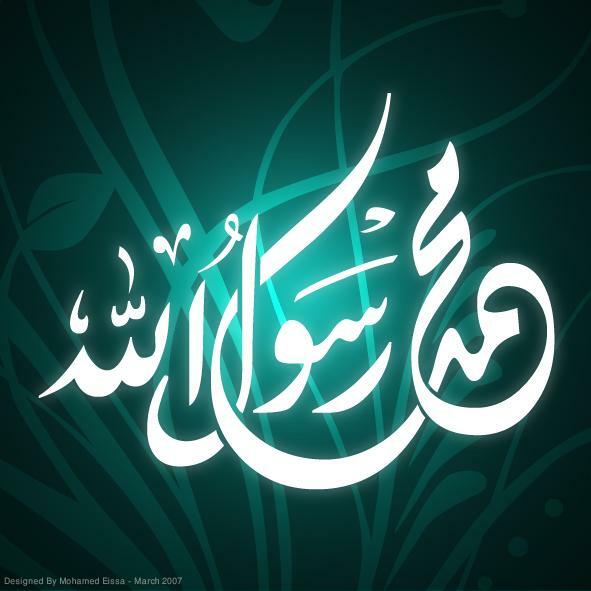 What exists within you is the light of Prophet (sallallahu alaihi wasallam). So means now there is 3: the Divine Essence, Sayyiduna Muhammad (sallallahu alaihi wasallam), and the Adamic realities, that all creation is from that. 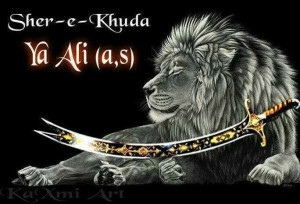 He gave the stewardship of that door to Imam ‘Ali (alaihis salaam) but who was the owner of that reality, is that it is the Muhammadan reality. This is the way of annihilation. If we don’t understand the way of annihilation, we keep thinking that we are going to go from mi’raj (ascension) to Allah ‘Azza wa Jal. What Allah ‘Azza wa Jal? We are in the mi’raj to understand the greatness of Sayyidena Muhammad (sallallahu alaihi wasallam). If your light be thrown back into the Muhammadan ocean, means your mi’raj, our mi’raj is in the soul of Prophet (sallallahu alaihi wasallam). As Prophet (sallallahu alaihi wasallam) is moving towards La ilaha illa-Llah, our souls moving in the ocean of Muhammadun RasoolAllah (sallallahu alaihi wasallam). If Prophet (sallallahu alaihi wasallam) gives permission for a real mi’raj, means he opens his heart and the light of your soul begins to enter into the heart into the realities of that La ilaha illa-Llah. Means Prophet (sallallahu alaihi wasallam)’s permission within the heart begin to take and that becomes the real zikr of Allah. 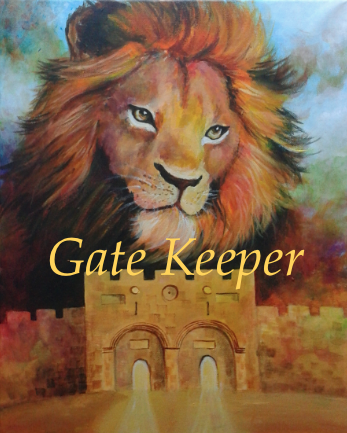 If your arwa, if your soul is in the heart, [that is why all of the Arabic, we don’t know, we’re not fluent in Arabic], Ahle bab anNabi (sallallahu alaihi wasallam), the keepers of the door, what door? What are we talking door? This is the door. They became the door of this reality, the door of the heart of Prophet (sallallahu alaihi wasallam): Ahlebab anNabi أهل باب النبي (The poeple of the Door), the habaa’ib حبايب (lovers). Why habaa’ib حبايب (lovers)? Because this is all based on love. This is all based on the love of Prophet (sallallahu alaihi wasallam). 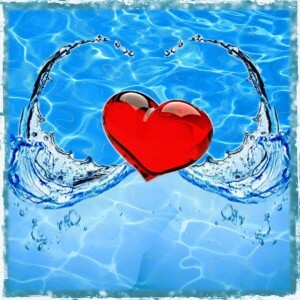 If there is no love, because who are they, who are the habibs? They are the lovers of Sayyiduna Muhammad (sallallahu alaihi wasallam). Means their souls are moving in love with Prophet (sallallahu alaihi wasallam). When you are in love, where would you be? In the heart. 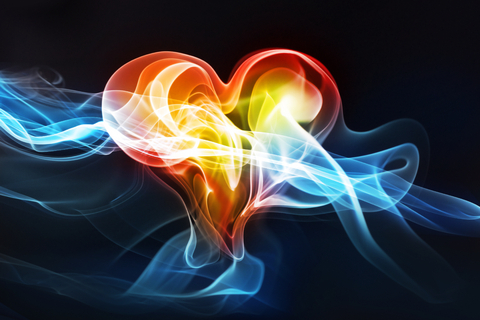 In the heart is the center of all power. When this Qur’an is manifesting, when Laylatul Qadr, Shaykh Abdul Qadir- all of them ‘Qaf wal-Qur’an al-Majeed’. What gives them qadirقدر (power)? 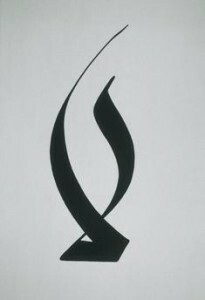 What gives them quwa(strength)? What gives them power is Holy Qur’an. Where is Holy Qur’an manifesting from? The heart of Sayyiduna Muhammad (sallallahu alaihi wasallam). These awliya Allah, they are the lovers of Sayyiduna Muhammad (sallallahu alaihi wasallam). And by loving Prophet (sallallahu alaihi wasallam), Allah ‘Azza wa Jal gave them the title of ‘awliya Allah’ (friends of Allah). But they are the lovers of Sayyiduna Muhammad (sallallahu alaihi wasallam). We find ourselves lost in the love of Sayyiduna Muhammad (sallallahu alaihi wasallam) having the nafils, having the associations. Spread the love of Prophet (sallallahu alaihi wasallam) so that your soul begins a deep love relationship with Prophet (sallallahu alaihi wasallam). That love relationship begins to nourish and develop in the love of Allah ‘Azza wa Jal, where Allah ‘Azza wa Jal, “Qul in kuntum tuhibbon Allah fattabi’oni yuhbibkumullah,” that Allah ‘Azza wa Jal’s true love will dress us when we have love for Prophet (sallallahu alaihi wasallam). That is from their realities of 11. 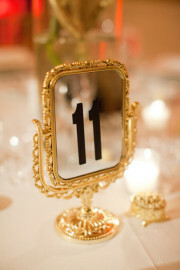 Now the 11, they mirror, that is why we follow the awliya. Why we follow the guides? Because they are an ‘ayn, they are a mirror of that reality. Means who are they looking to in their tawajju? When their heart is opening and their souls are opening, who are they facing? Means their salah is real, their ibaadah (worship) is real. In your salah (prayer), you say, “Assalamu alaika ayyu hanNabi السلام عليك أيها النبي” [Peace be Upon you O Prophet (saws)]. Means it’s real for them. Their souls is in the presence of Prophet (sallallahu alaihi wasallam), being dressed and blessed by Prophet (sallallahu alaihi wasallam). As a result, they are a mirror. They mirror that reality. So if you go in the presence of a mirror, what going to happen? It dresses you from everything. And where do we use this in dunya. 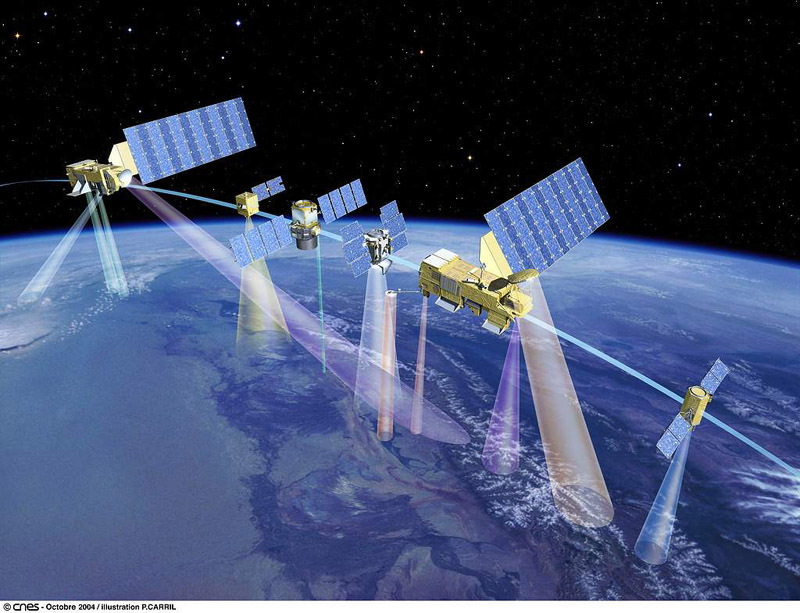 In satellites, that we want to send a signal to somewhere, you send it onto a satellite- just a series of mirrors. It takes it and mirrors it to another location, mirrors it to another location. That’ s why in the huroof, you see commonly in the huroof the mirroring: they write ‘hu’ and then they flip it in perfect symmetry with ‘hu’, because this is the ‘ayn. This is the reality of the ‘ayn, awliya Allah, that they’re looking into that reality. Their ma’rifa means they’re constantly moving in that reality. Means if that loaded soul dressed from that realities, if you come into their presence, they don’t have ‘on’ and ‘off’. They don’t discriminate based on they like someone and don’t like someone. They’re constantly mirroring that reflection. If you come in that presence of that mirror, it begins to dress you, begin to bless you, begin to take away so many different difficulties from people. And that is the reality of the 11. That is the reality of La ilaha illa-Llah. And the deep reality of La ilaha illa-Llah begins to open within the secrets of Makkah and Madinah. But we talk about that some other time InshaAllah. Bi hurmati Muhammad ul Mustafa wa bisirri Surat al Fatiha.